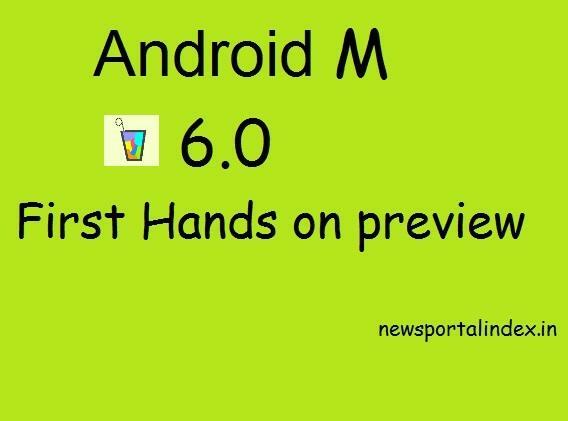 After launching the new Android Lollipop 5.0 Google launched the next version of Android is Android M that shows the Google making the Lollipop more convenient to use by furnishing and making better with this next version. There are lots of changes that make it greater.You can expect things from Google and this new Google’s android version this version proves your expectations genuinely. Vertical scrolling of Apps, Apps permissions, Rearrangement of apps in app notification by touch and pull them only to your place, Notification and easy unlocking, Dark themes and etc. many of changes make it more interesting. We have to wait for it’s next preview for more features in running form.